Growing tensions over the control of the South China Sea between Taiwan, Japan, the Philippines and China is likely to be avoided thanks to Taiwan’s will to pursue joint-development and cooperation with the concerned parties. TAIPEI – China has no plans of establishing an air defense identification zone (ADIZ) over the South China Sea, a ranking Taiwanese official said Monday [17 February 2014], citing an assurance from Beijing. Chu-Chia Lin, deputy minister of Taiwan’s Mainland Affairs Council (MAC), told an international group of reporters here that China’s assurance came after Taipei asked Beijing not to establish an ADIZ over the South China Sea. Lin said an ADIZ reportedly being planned by China would cover Taiping Island (also known as Itu Aba or Ligaw), the largest island in the Spratly group currently occupied by Taiwanese forces. “They said so far they have no intention to put ADIZ in South China Sea,” said Lin. 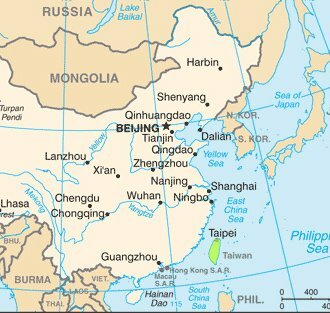 Beijing imposed last year an air defense zone over the East China Sea, particularly over areas it disputes with Japan. Relations between China and Taiwan are generally tense, but high-level government-to-government talks earlier this month have raised hopes for warmer ties. “When mainland China first put ADIZ in East China Sea, we immediately issued our protest… Mainland China said the ADIZ (in East China Sea) is not aiming for Taiwan,” said the Taiwanese official. The United States has expressed concern over Beijing actions, saying they could heighten tension in the region. But China’s state news agency Xinhua said that in making the report on ADIZ, Japan was merely trying to shift attention from its plot to expand its military powers in the region. “In a general view, the Chinese side has yet to feel any air security threat from the ASEAN countries and is optimistic about its relations with the neighboring countries and the general situation in the South China Sea region,” China’s foreign ministry spokesman Hong Lei was quoted as saying in the report. Taiwan, meanwhile, has maintained its territorial claims in the South China Sea. “The problem is China is making almost exactly the same claim (as Taiwan),” said Che-Chuen Lee, a researcher for MAC’s department of policy planning. Lee said his government is pushing for talks among countries with overlapping territorial claims in South China Sea. “Although it is not easy for us to solve the sovereignty claims or conflicts, we can sit down and talk about joint development of natural resources,” he said, noting that they have barely received positive responses from countries involved. A Taiwanese scholar earlier said Taipei is open to peaceful negotiations even as it maintains its sovereignty claims. “(But unlike Beijing), Taiwan is willing to set aside these differences and pursue joint-development of resources and other forms of cooperation with the region and parties concerned,” said Anne Hsiao, a research fellow at the Institute of International Relations in Taipei’s National Chengchi University. “On this stand, Taiwan is quite clear and that (would) distinguish maybe Taiwan from the matters taken by China, Japan, and unfortunately maybe by Vietnam and the Philippines,” she said. In Manila, the Department of Foreign Affairs (DFA) welcomed yesterday US Secretary of State John Kerry’s support for a rules-based solution to the West Philippine Sea (South China Sea) disputes. “The Philippines welcomes the reported comments of US Secretary of State John Kerry made recently in Jakarta on the Code of Conduct in the South China Sea,” DFA spokesman Raul Hernandez said in a text message to reporters. “These comments are fully in line with the basic Philippine and ASEAN stance that we should move expeditiously to conclude a binding Code of Conduct in order to reinforce regional peace, security and stability,” he said.